The palm grove and the laboratories, with their separate entrances (for reasons of acoustics and vibrations) amalgamated in autonomous blocks alternating with gardens planted with palm trees. 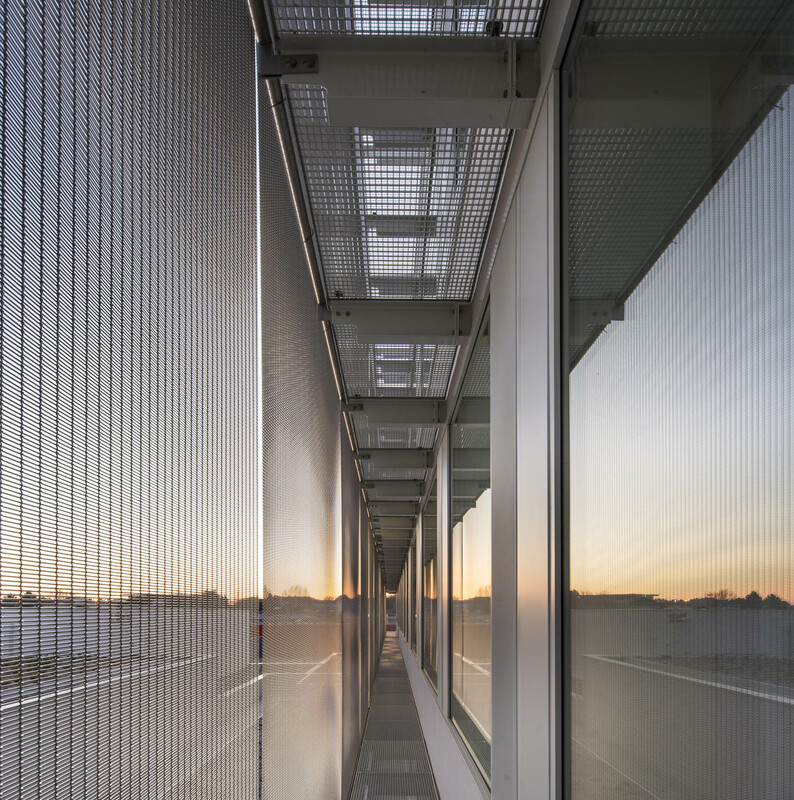 The shade cover is a micro-perforated metal sun screen, and the offices are linked by vertical shafts and staircases with panoramic views over the landscape. The shade cover – a delicate horizontal veil – gives the institution a resolutely contemporary visual identity and affirms its relationship with the environment: respectful and responsible.